On Thursday, Ohio Gov. 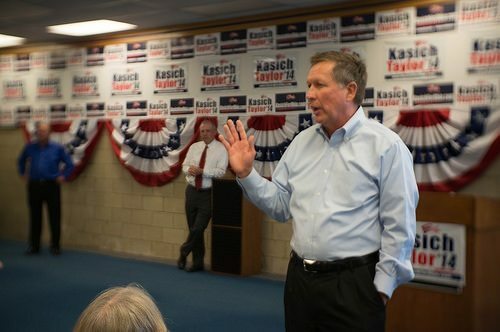 John Kasich who has long supported a charter school movement in that state, acknowledged that those schools were, in fact, in trouble and needed a tougher set of rules. Statewide the charters significantly underperform public schools. According to a recently released study from Stanford University Center for Research on Education Outcomes (CREDO) students in charters average the equivalent of 36 fewer days of learning in math and 14 fewer days of reading than students in traditional public schools. This prompted the following comments from Macke Raymond last week about the inadequacy of the free market approach to education. “What I think this says for the policy environment, is that a lot of these legislation, enabling charter schools, were drawn up at a time when people had really, really strong confidence in the power of markets. And I have to say this is one of the big insights for me because I actually am kind of a pro-market kind of girl, but it doesn’t seem to work in a choice environment for education.